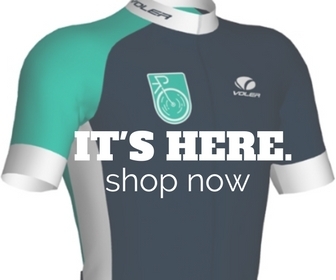 Here at SLO Cyclist, we’ve been out-wheeled by hamsters. We’ve been warned to throw in the chamois. We’ve been heckled by non-Sufferlandrians. But here at SLO Cyclist, we’ve achieved something: We are true Sufferlandrians. It’s totes true. We’ve got the training diaries to prove it. The Sufferfest is for real, and what better way to suffer than for a good cause (and maybe a sweet new BMC Team Machine, right?). Whether or not you’re already in on the Sufferfest, you can join the Tour of Sufferlandria while supporting the Davis Phinney Foundation. Line up with the virtual peloton of fellow Sufferlandrians from the comfort of your own pain cave, and compete in the 9-day “race” without feeling the wind chill of winter roads. Simply donate at least $10 to the aforementioned foundation as your entry fee, pin on your official race bib, join the chatter on The Sufferfest, and complete daily video challenges. 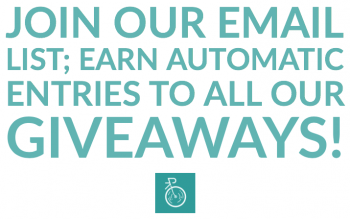 Although you will need either a subscription to The Sufferfest ($10 for one month of unlimited videos) or a full complement of the specific training videos needed to complete the Tour, you will also be entered to win some seriously cool, seriously satisfying prizes. One thing to remember: Get your trainer ready, because all of this starts tomorrow! (Feb 6th-14th–although each day of the tour is technically 50 hours). Head over to The Sufferfest’s Tour of Sufferlandria Official Page to get signed up, and support a very worthy charity in the process. We’ll be lining up right along with you. Don’t worry. Sponsoring the Tour this year for the first time, Kinetic (you know, the people with the sweet trainers), has released a new Kinetic Fit app to work in tandem with your Sufferfesting. 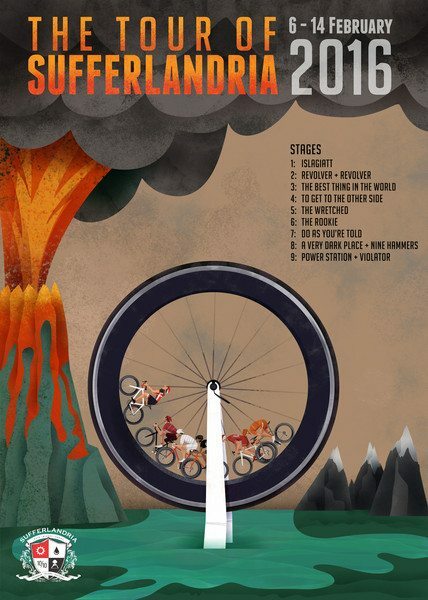 If you’re a premium subscribers of Kinetic Fit, and registered for the Tour of Sufferlandria, you can get free streaming access to each of the nine Tour of Sufferlandria video training stages between. Pretty cool if you’re already planning to use a Kinetic trainer for the Tour. The Kinetic Fit app, available in iOS and Android (beta), is free to all registered users during the company’s extended trial period. Similar to Kinetic’s predecessor inRide app, Kinetic Fit uses Bluetooth Smart® technology to transmit wattage output and workout metrics such as heart rate, distance, speed, and cadence. The more robust Kinetic Fit has real-time monitoring of over 50 key data points, and allows full user interface customization. Kinetic Fit additionally unlocks training potential that wasn’t found in the inRide app with over 100 new interval workouts written by professional coach, Drew Edsall with power and cadence targets. Features such as interactive real-time graphing, second screen mirroring, and synchronization with streaming video content keep users on-target, motivated and fully engaged. Kinetic plans to update the Fit app regularly with new workouts, power-training plans, social incentives and added functionality and features, many of which will be open to all app subscribers during the extended free trial period. All Kinetic Smart Trainers sold through retail since October 2015 are already compatible with the firmware requirements of Kinetic Fit. Version 1 inRide sensor pods (T-2000 and T-2002 inRide Watt Meter accessories) purchased prior to that time are not compatible; however, Kinetic has a free firmware upgrade program. Finally, owners of even the earliest generations of Kinetic Rock and Roll or Road Machine trainers can inexpensively retrofit their equipment with Kinetic’s inRide Sensor Pod (MSRP $75; or $130 for sensor pod and BLE heart rate strap). More information about Kinetic is available at kurtkinetic.com.